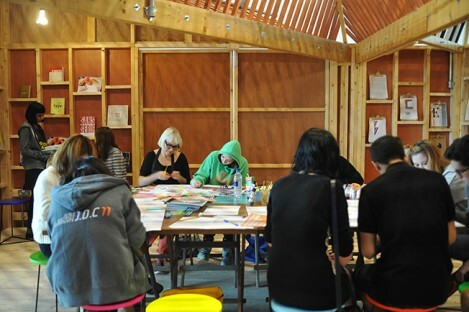 Studio Myerscough’s residency filled the Pavilion last week with colourful design and typography workshops. If you want to see more from the award winning designers, you can see their art punk performance/lecture on Thursday 5th December. This is part of Volume: Birmingham’s Art, Book & Print Fair and also features Bill Drummond. 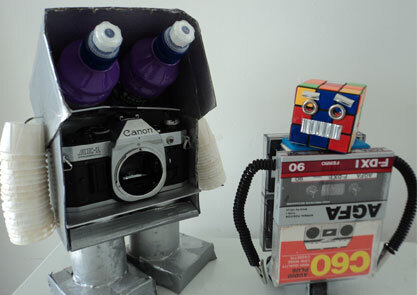 September, 2arttoyguys will be in residence with their incredible vintage sci fi models. 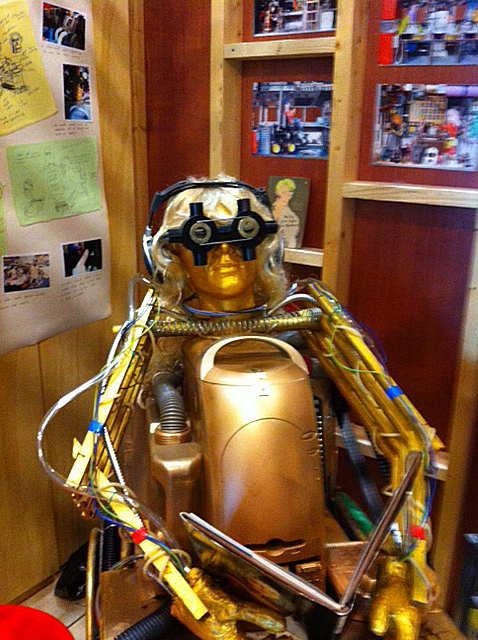 Taking inspiration from HG Wells, you are invited to experiment with their full size time machine model, or create your very own model using recycled material, obsolete technology and a healthy dose of imagination. There’ll also be a display of the artists’ DIY interpretations of iconic sci fi figures including the Martian War Machines (War of the Worlds). Visit the guys this week and get handy!